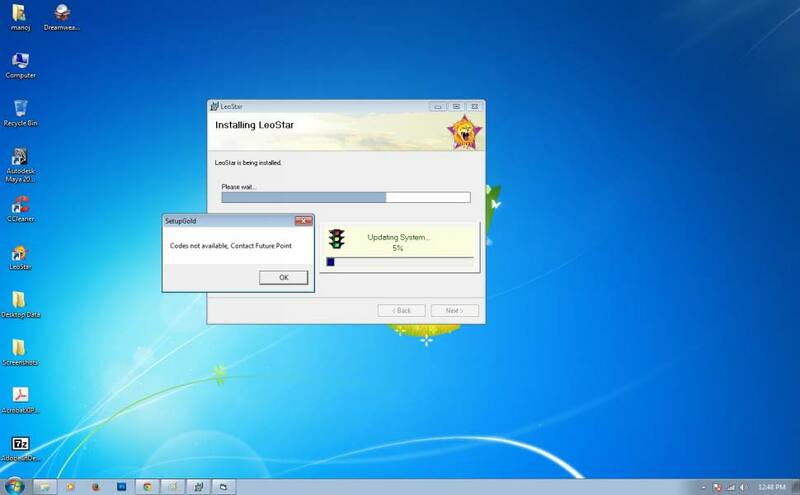 To install leostar properly in your system it is strongly recommended that close all running program and software. If you have attached LeoKey (USB Dongle) already, please remove it. Installation will ask you to attach LeoKey at an appropriate stage. If you have internity facility then please start it before intstallation. Installation of Leostar on Your Desktop/Laptop. Insert the Leostar CD in the CD-ROM drive. Start Windows Explorer and navigate to CDROM drive. Double click on setup.exe to launch the installation procedure in case if AUTORUN facility is not enabled in your computer. If AUTORUN facility is enabled then it will automatically launch the installation and Setup Screen (shown in fig.) will come. Note: If you have attached LeoKey (USB Dongle) already, please remove it. Installation will ask you to attach LeoKey at an appropriate stage. Press <Next> button to begin the installation of the Leostar. Pressing <Next> button shows the Leostar Information Screen (given below). Pressing <Next> button shows the Software License Agreement of Leostar. Select <I agree> and press <Next> button to accept the License Agreement of Leostar software or press <Cancel> to reject it and exit from setup. (Please note that it is necessary to accept terms and conditions of the License Agreement mentioned to install the software.). Press <Next> button. 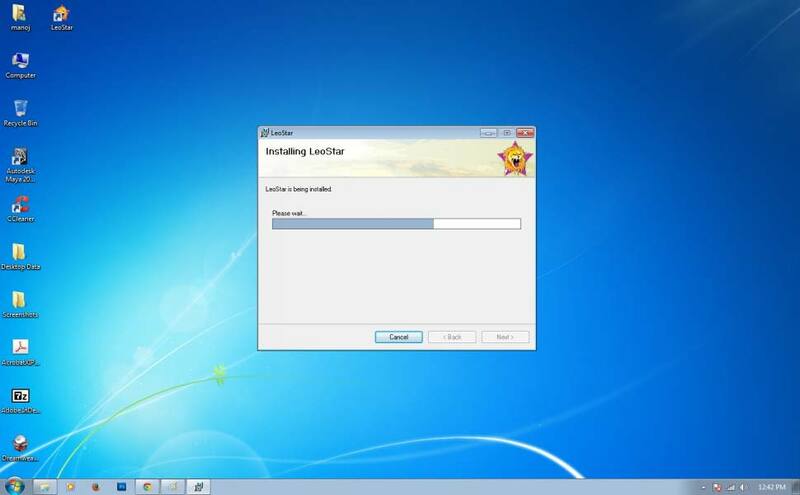 It will copy all files to run Leostar software on your system and will display a progress indicator which will inform you the status of the file copying process. 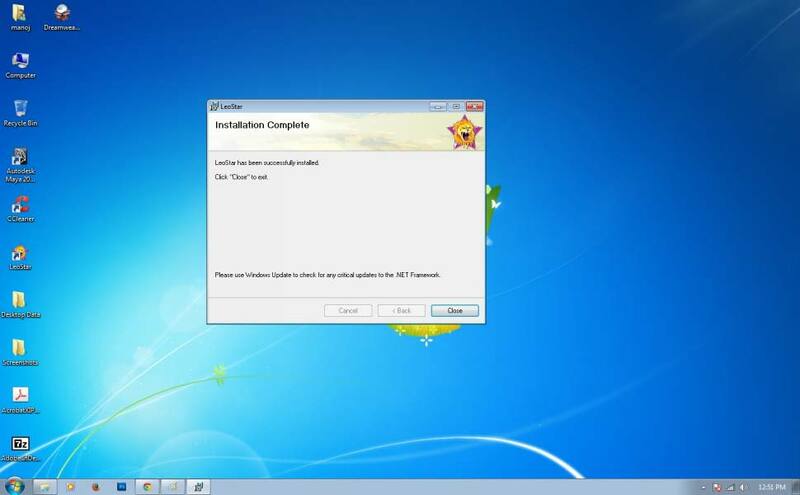 You can press <Cancel> button to terminate the installation process at this stage. This will display the Password and Serial Number information screen (given below). 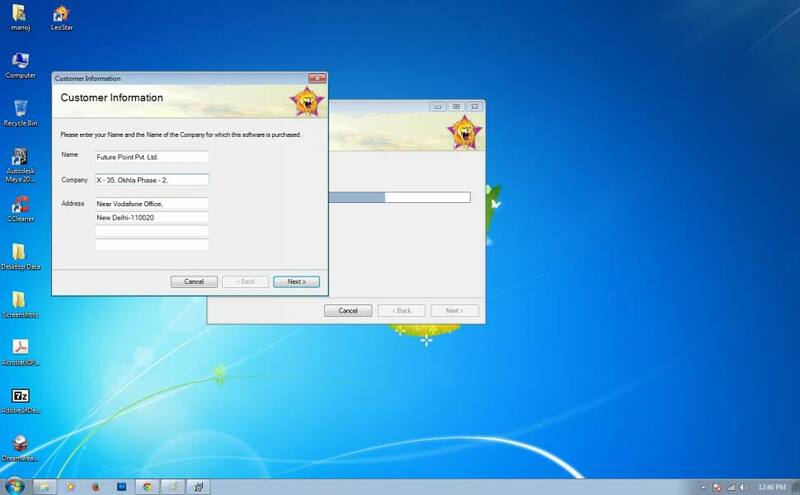 Serial Number and Password of the software are provided to you along with the Leostar Software. Now enter the password given with the software and press <Next> to proceed. Password is not case sensitive so you can give use either small or capital letter. You are allowed 3 chances to enter the valid password. Make sure you have entered the correct password. Setup program terminates at this stage if you enter invalid password in three chances. You are not allowed to go further if Password is not valid. You may contact Future Point for the valid Password of the software. Installation gives you 30 digit code screen as shown below. 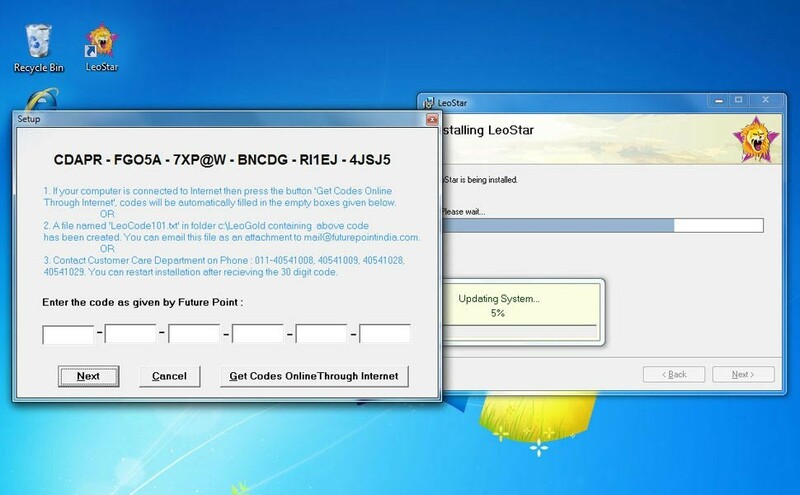 (If you have Leostar Home, this code screen will appear when you run Leostar for first time). If you have Internet facility you can visit our website www.leogold.com. 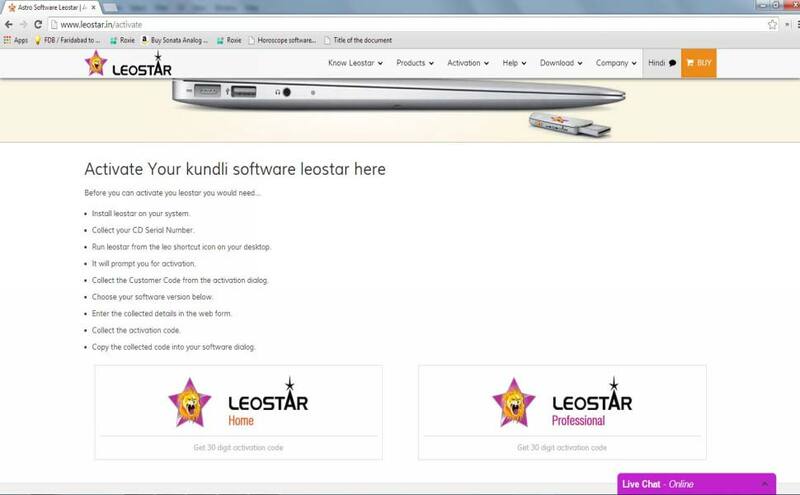 On the website homepage you have to click Get Leostar 30 Digit Codes. It will open a page (as shown below) where you have to enter your software serial Number and the codes of this screen. After entering press Get 30 Digit Code to get your new codes. If you do not have internet facility you have send your software serial number along with your codes to Future Point either through Snail Mail, E-mail, Phone or Fax. After getting these 30 digit code we will provide you new 30 digit codes. You have to type new codes provided by website/Future Point in the empty boxes of appearing code screen. Press <Next> to continue. Note: These 30 digit codes will change if you change your computer or Operating system. Then you have to take new 30 digit code from Website / Future Point. A message ‘Leo Key not Present. Attach the Key’ appears after this stage (as shown below), it means the Leo key is not inserted. Now Attach LeoKey on the USB Port (as shown below). Setup Program shows Updating System Settings Box at this stage. After this process, setup program displays the setup complete Screen. Press <Close> button to complete the installation. After rebooting the system. 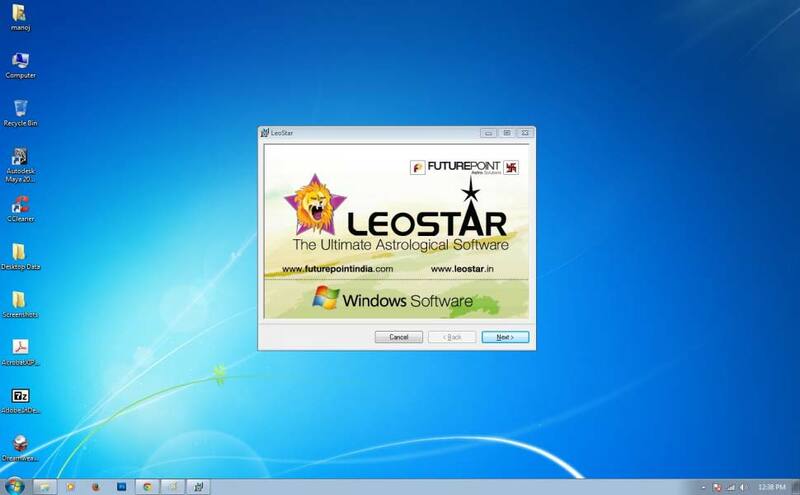 Double click on Leostar icon on your desktop to run Leostar.